Klein's Fish Market, Belmar : Free Appetizer of Your Choice with 2 Entrees! Klein's Fish Market - Free Appetizer of Your Choice with 2 Entrees! Free Appetizer of Your Choice with 2 Entrees! Klein's of Belmar has put together a great perk for subscribers to Locals InMotion Offers. You can receive a complimentary appetizer of your choice with the purchase of two entrees when you redeem this offer with your Locals InMotion Offers subscription on Locals InMotion for iPhone. There is a limit to a maximum value of $15. For those of you who have been to Klein's, that is quite a variety of amazing appetizers for you and your guest! Welcome to Klein's! Come and experience Klein's Fish Market, Waterside Cafe, Grill Room and Tiki Bar conveniently located at River Road and Main Street on the Scenic Shark River in Belmar, New Jersey. There's something for everyone at Klein's with our vast selection of seafood, soups, salads, burgers, pizza, and pasta dishes. At Klein's, you will find a relaxing ambiance with all of your favorite cocktails after a fun-filled day at the shore! Klein's is open 7 days a week. Locals InMotion Offers is a premium subscription on Locals InMotion for iPhone that gives you access to exclusive offers and perks from the Jersey Shore's hottest restaurants, eateries, shops and venues. Offer is limited to a maximum value of $15 & requires a minimum purchase of 2 entrees. In order to see the appetizer deducted from your bill, you must redeem this offer with your subscription to Locals InMotion Offers on the Locals InMotion iphone app with your server at time of purchase. Once redeemed you'll receive your discount and points will be added to your Locals InMotion profile. This offer cannot be combined with any other offers or used on special engagements or holidays. Specials and Events at Klein's! Klein's is celebrating 90 years! Come and experience Klein's Fish Market, Waterside Cafe, Grill Room and Tiki Bar conveniently located at River Road and Main Street on the Scenic Shark River in Belmar, New Jersey. 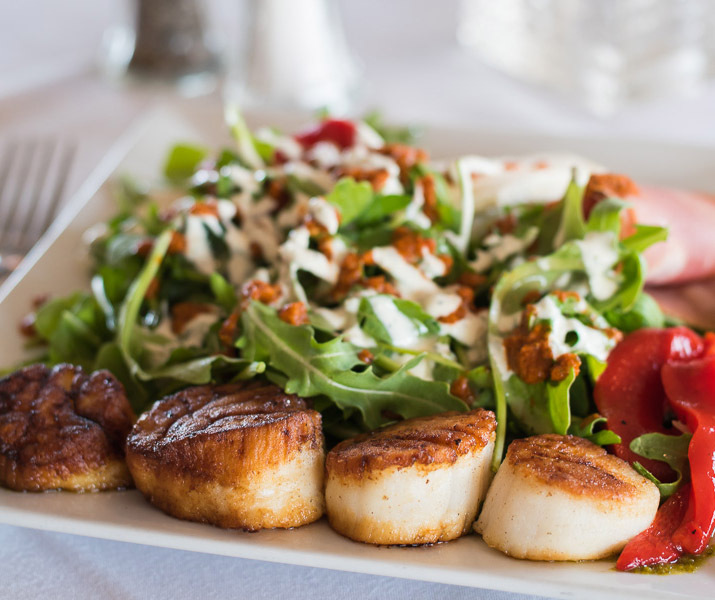 There's something for everyone at Klein's with our vast selection of fresh seafood, soups, salads, burgers, and pasta dishes. At Klein's, you will find a relaxing ambiance with all of your favorite cocktails! The Retail Fish Market opens every day at 9am (Closed Monday). The Restaurant will be closed on both Monday and Tuesday.